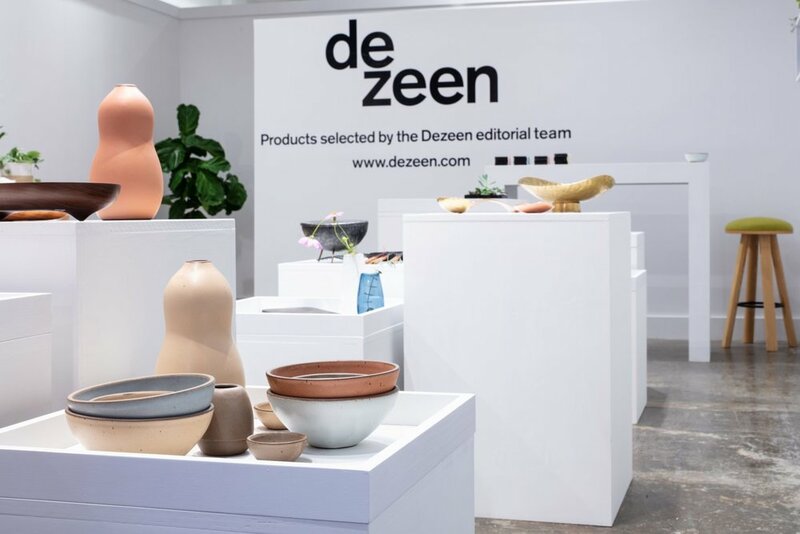 We were so honored to be featured in the Dezeen Design Shop at the newly opened Plant Seven this month. Plant Seven is a new creative hub in High Point North Carolina (the furniture capital of the US!) housed in an old textile mill. We’re lucky to live in the same state as the international High Point Market and they always draw a huge crowd with great big-brand and established design stars. But they don’t exactly feature small batch independent designers. Enter Plant Seven. The goal of Plant Seven is to serve as a co-working space and as a creative center to foster young talent and small batch production – and to give those designers a home in NC instead of losing them to NYC or LA. They also hope to get people excited again about the furniture and production industry – it’s still alive and well in NC. Read more about it in Architectural Digest and Dezeen. We’re super psyched about it all! And the Dezeen Design Shop was the icing on the cake for us. To see so many amazing Southern designers and makers side by side, doing the thing that they love and making one-of-a-kind (and modern!) art and goods was such a proud moment. AND all hand-picked by the Dezeen editorial team. Now that’s validation. Mic drop. Other featured designers: Erica Gimson Design, Me Speak Design, East Fork Pottery, Skylar Morgan Furniture, Escazu Chocolates, Yield Design Co, Shelter Collective, Foxwood Co, Elizah Leed, Peppertrain Jewelry, Stector Metals, Hawks and Doves, A Sensible Habit. Pretend Store, Grey Goods Studio.